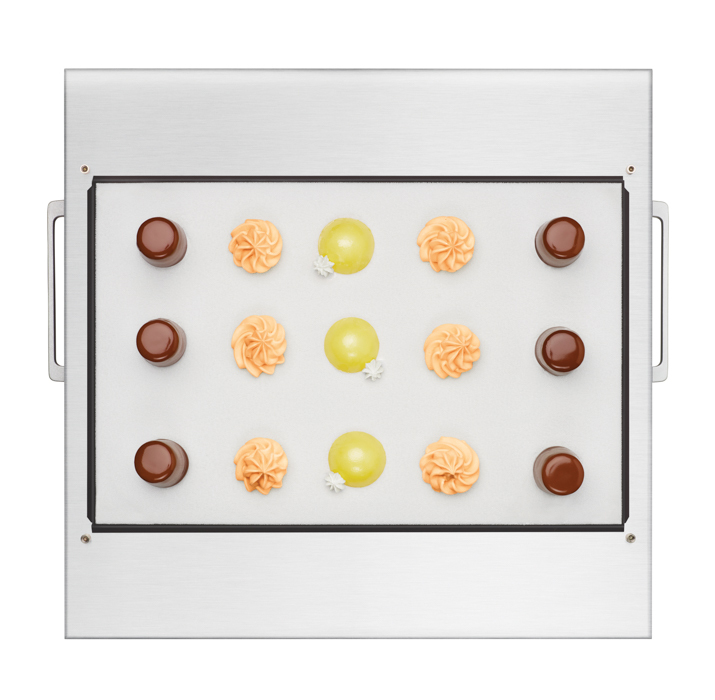 Traditional cooktop with an amazing twist: instead of heating, the device quickly freezes sauces, purees, vinaigrettes, crèmes, foams, fruits or any type of food! This unique innovation opens a new dimension for your creativity. 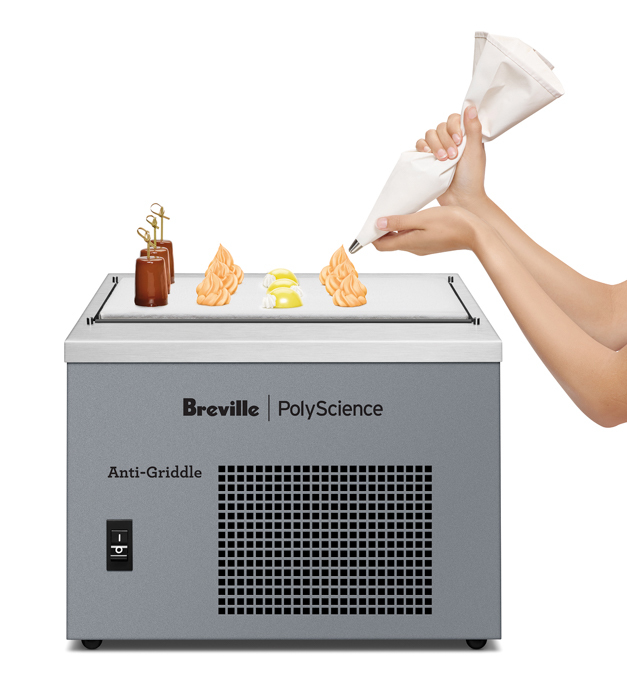 Quickly freezes food into a solid or semi-frozen texture. Freezes unique forms or intricate designs. 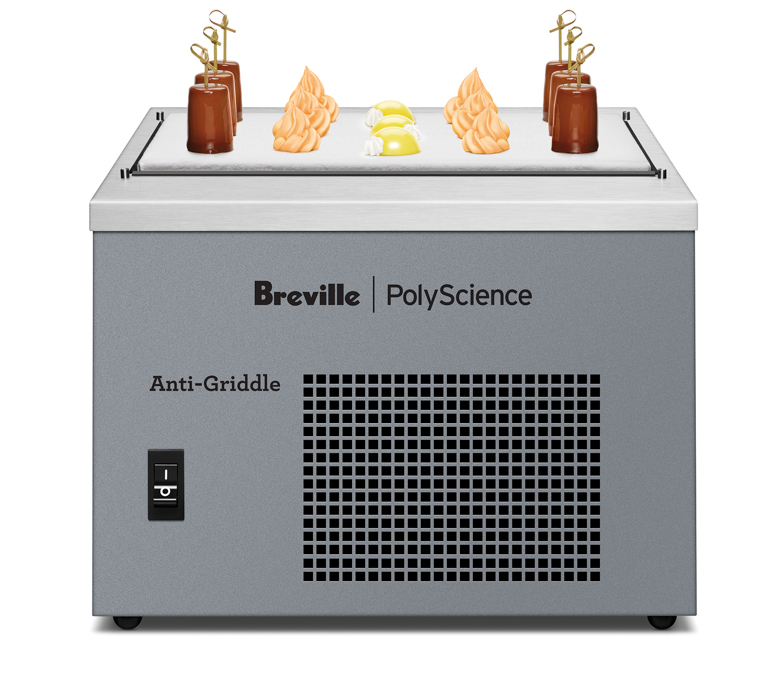 -30ºF ‘griddle’ temperature ensures instantaneous results. 1 square foot high-endurance stainless steel, easy-toclean surface. Create frozen desserts and appetizers with cool, liquid centers. Combine flash frozen lollipops with a novel ingredient in place of traditional sticks. For example, a vanilla caramel ice cream lollipop on a rosemary sprig. Top salads with frozen vinaigrettes that melt on the plate when served. Adorn dishes with intricate frozen ornaments, easily transferred from the Anti-Griddle to the plate.Flash freeze tableside or at the buffet to provide guests with unique, personal and exciting dining experiences. 120V, 60Hz, 12 amps. Surface Dimensions: 14 1/2” x 9 1/3”, Length: 15 7/8", Width: 18 1/3", Height: 10 1/2", Product Weight: 76 lbs.